Obituary for Hayden Chance Jackson | House of Wheat Funeral Home, Inc.
Hayden Chance Jackson, 23, of Springfield, Ohio fell asleep to enter eternal rest on Monday, October 22, 2018. Hayden was born June 2, 1995 in Xenia, Ohio, the son of Kevin and Lisa (McCormick) Jackson. Hayden received his salvation at the very early age of nine, at the Church of Jesus Family Worship Center, Springfield, OH under the leadership of his Surrogate Grandfather, the late Bishop Cecil A. (Poppy) Pratt, Jr. He was a proud member of Greater Grace Temple, City of David, under his current pastor, Bishop Charles H. Ellis, III, Detroit, MI. Hayden was a senior music major at Wright State University, Fairborn, OH. He was also enrolled at Ron West Barber School, Dayton, OH. Hayden had a special attraction to senior citizens, so when his schedule permitted he worked part-time as an activities director at Wooded Glen Assisted Living Facility, Springfield, OH. He was affectionately known as “Maestro” coined by Bishop Ellis, for his unique style, bridging the gap between classical and gospel music. Hayden developed a fond love of music early in life. 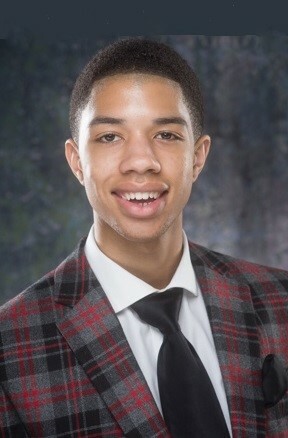 At an early age, Hayden begin mastering the piano, playing a unique variety of gospel music ranging from old spirituals and hymns to traditional and contemporary, blended with a hint of classical. By 13, he became the full-time minster of music at a local church. Hayden was mentored by some of Ohio’s best piano instructors including the late Anna Gee Blackwell-Hagans and Lydia Smith-Lockwood. Hayden was the founder and director of H. C. Jackson and God’s Vision, a choir comprised of members of various faiths and ages based in Ohio and president of Psalms 150 Enterprises. The Lord blessed Maestro during his short life to perform and teach at various gospel music and religious conferences, conventions, and workshops including the Gospel Music Workshop of America, the Edwin Hawkins Music and Arts Love Fellowship Conference, the Dr. Thomas A. Dorsey National Convention of Choirs and Choruses, and the Pentecostal Assemblies of the World International Convention. Hayden has been showcased on the Dr. Bobby Jones Impact TV Network and the WORD Network. He has been featured in venues before gospel greats such as Edwin Hawkins, Donald Lawrence, Richard Smallwood, Bishop Marvin Sapp, Keith Pringle and countless others. Hayden is preceded in death by his grandfathers, Joe Fite, Frederick Jackson, Luther McCormick, and Stevenson Moore. Maestro leaves to carry on his rich heritage, his parents, grandmothers Joan Fite-Moore of Xenia, OH, Evangelist Dorcas Jackson, Springfield, OH and Eva Withrow, Dayton, OH. He will be forever missed by his sisters Brooke M. McCormick, Dayton, OH, and Lindsey Jackson of Los Angeles, CA and brothers Jordan Johnson of Atlanta, GA and Kevin Jackson, II of Los Angeles, CA. Hayden also leaves three nephews, Edward and Elijah McGee of Dayton, OH, his godson, Jaxon Johnson, Atlanta, GA and one niece Eleesa McCormick, Dayton, OH. Four aunts Lori (Curtis) Easley, Xenia, OH, Lynnene (Jeffrey) Smith, Huntsville, AL, Joie (Gary) Collins, Xenia, OH and Patrice (Ellsworth) Senior, Springfield, OH. Uncles Luther (Kathryn) McCormick, Xenia, OH, Dr. Kent Jackson, Springfield, OH, and Kerry Jackson, Columbus, OH. His best friend and cousin Miles Senior and a host of cousins, friends, and adopted grandmothers, grandfathers, aunts and uncles through the country. A Celebration of Life will be held 6 pm Sunday, October 28, 2018 at Bethesda Temple Apostolic Church, 3701 Salem Ave, Dayton, OH. Dr. Craig S. High officiating and Bishop Charles H. Ellis, III, eulogist. Friends may call from 3:00 pm to 6:00 pm. Family will receive friends one hour prior to service. Hayden Chance, we thank our Lord and Savior for lending you to us just for just a season, such a great, anointed, once-in-a-life time talent to minister your gift that touched thousands throughout the world. You were a very special and precious son. Our hearts are torn into pieces. It’s so hard to let you go, but we know your work down here is done. God has prepared you a mansion and special room for your grand piano. I’m sure you’re playing Daddy’s favorite song in the heavens, “Blessed Assurance” or directing that massive holy choir with Mom’s favorite wand. Rest “Safe in his Arms,” our Baby, you have been delivered. We will always love you and will see you again.